For a traveler who's often asked about the hidden gem and the older restaurants and places to catch a bite, I'm full of information. But somehow I've skirted around one of the largest developments in the Little Rock dining scene for six years now. It's about time I changed that. See, Big Orange isn't small, quaint or unexplored. It's large, groovy and well loved by thousands of food lovers. 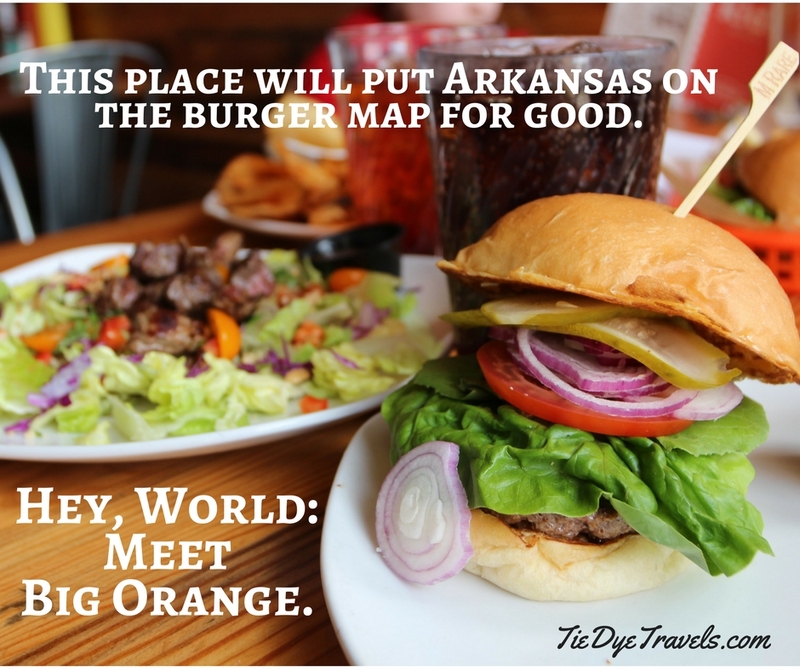 And it has the largest chance of putting Arkansas on the world burger franchise map. Seriously. Let me explain. It's had plenty of press. It just hasn't had much press here from me. That's not to say I haven't bragged on Big Orange. I have. But I didn't really need to. This place holds its own. Scott McGehee and John Beachboard opened the original location in the Promenade August 22nd of 2011. Beachboard met me for a tour beforehand - so three months before that opening date, I was standing in the (then) whitewashed orange-accented space. I had no idea what it would become. Was the place some subtle nod to the Mammoth Orange Cafe in Redfield? Beachboard told me no. McGehee told me... somewhat. 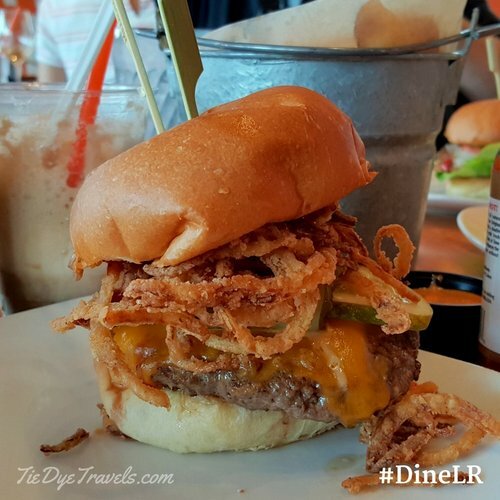 The orange and the fact both serve burgers are the similarities there - but Mammoth Orange does a very plain Jane dairy bar burger. Nothing at Big Orange could be considered plain. And of course I went those early weeks. To be honest, the concept was way out there for me - but please understand, that was six years ago. In restaurant evolution time, we're talking eons. Think about it - we're just now ten years into the Arkavore Food Movement (I think I may have to write something about that soon). Six years is a long time for anything when it comes to restaurants. Yet I found myself returning again and again, not just to the Promenade location but to the second at Midtown. I haven't made it to Rogers yet to feel the vibe there - but since it's not open yet... well. Why do I keep coming back? Well, it's simple. Big Orange is always steady. The Thai Chop Salad is always going to be a dinner's worth of salad, the Kennebec chips are always going to be fresh and crisp, the burgers are always going to be so dadgum cool. Really? Yes really. In my foray with the Arkansas Department of Parks and Tourism (catch me sometime for a private conversation about how awesome those folks are, and why I fit better in this role) I found myself bringing co-workers and traveling journalists to the place. I suggested it to out-of-towners. 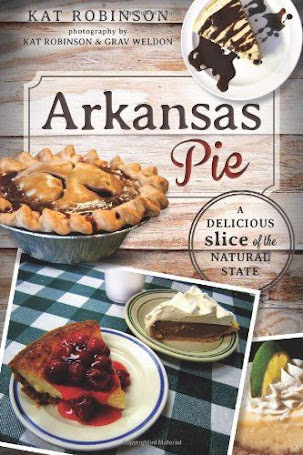 I even vetted it for folks who'd never been to Arkansas when they wanted to see what an Arkansas burger could be. Now, I know there are some folks who say the burgers and such are a bit pricey - and in fact, in my darkest times, I haven't felt I could justify a visit. Writing about food is literally, I mean literally, feast or famine. But what you get is solid. Let me run down some of the many things I have tried. The Maytag Blue Cheese burger... which I described pretty much when I first covered Big Orange as my Burger Joint of the Week. 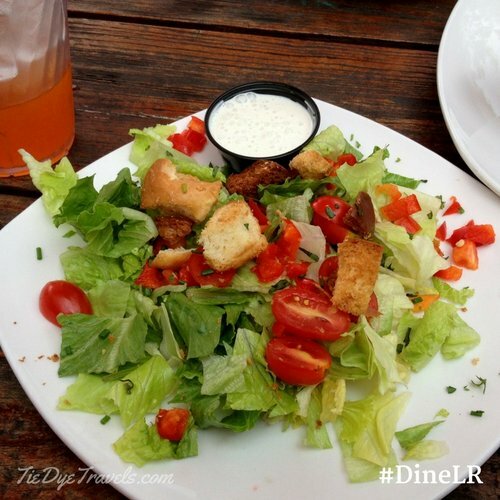 because it's just the perfect salad. There's the Farmer's Burger, which Grav has sampled. This was from his first trip to Big Orange, just over a week after my first review. 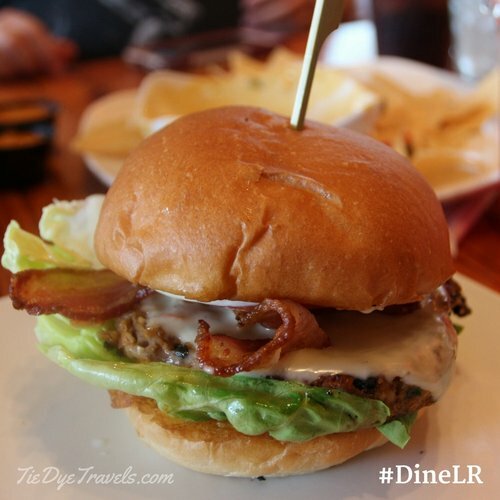 The Farmer's Burger is Petit Jean bacon, havarti cheese, a fried egg, butter leaf lettuce, tomato, onion and garlic mayo on that big puffy bun. It's breakfast as a burger. There are a lot of other places that do this, but Big Orange does it well. The burgers... easy call. 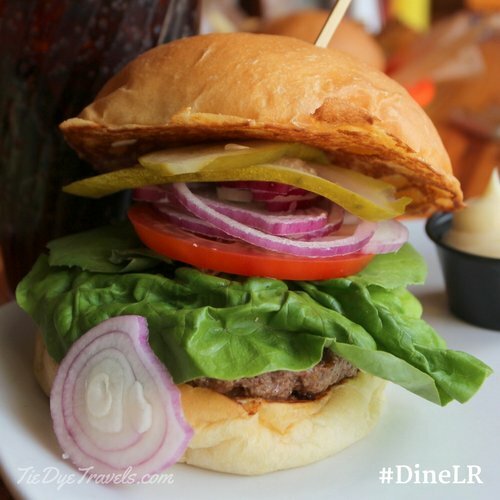 Hey, quick quiz: what sets most Little Rock restaurants apart from other places? 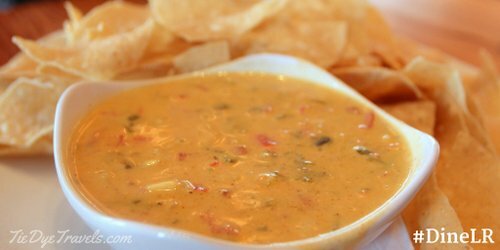 The cheese dip. When I was getting ready to leave ADPT, a number of my section folks went out to lunch with me. Cheese dip was involved. It's always good, fresh, and full of bits of onion and tomato - though I have learned that changes seasonally. It's not the choice of ingredients, but the simple fact that vegetables are different through the seasons. And, as all photographers know, they photograph differently in different light. Above, that's July 2014. Same bowlful, from the west. Isn't light cool? You'll also notice the chips. 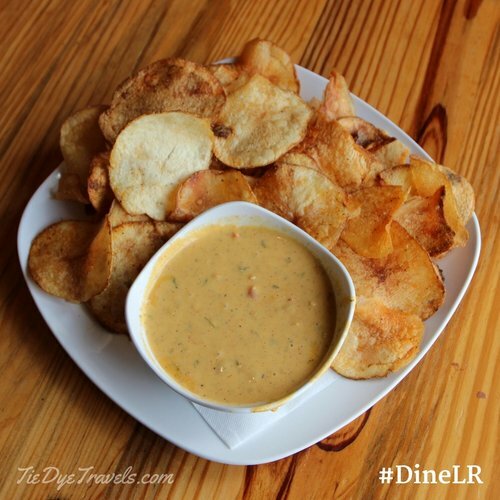 While the cheese dip comes with tortilla chips, I prefer them with the Kennebec potato chips, housemade, always crispy and light, and to me the perfect conveyance of this particular cheese dip. It's to the point now I dont even order the tortilla chips - I ask for the substitution. Because let me tell you what - this is boss. This is awesome. 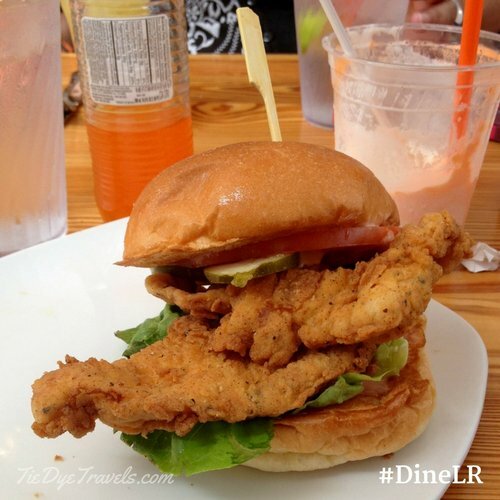 There are other remarkable burgers at Big Orange. I could go on all day about them. There's this excellent Petit Jean bacon and avocado burger, one of Grav's favorites. Look close. Notice anything? That's not beef. That's an all-veggie burger. Is this sacrilege? Probably. But this is the way Grav likes it. There's the Classic, with white American cheese and red onion and tomato and butter leaf lettuce and those good flat pickles - which, altogether when cooked to order and served on a buttered and griddle-fried Arkansas Fresh Bakery bun just sing out BURGERBURGERBURGER to me... this is the quintessential burger. See, this is my problem. I had meant to write out an entire piece on Big Orange in the summer of 2015 to connect directly to a piece on Abita root beer. Life went a little sideways at that point, which is why you're getting a fresh start right here. I love that Hickory Smoke burger. But this is the burger that impresses me the most. This... is a kids meal. Really. So many times I have gone places where the kids offerings are substandard to "adult" fare, as if children don't understand the nuance of food the way their parents do. 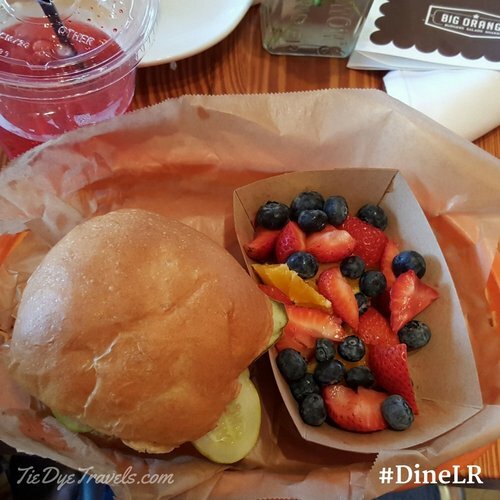 Big Orange's menu and subsequent delivery takes kids into consideration for the young budding epicureans they are. We've never had to send a burger back to have one made without cheese for Hunter (she thinks she doesn't like melted cheese unless it's on a pizza or part of cheese dip right now, and for the most part we humor her. Make fun of her, sure, but in a goodnatured way) and she's always been satisfied. Am I done? Of course I'm not done. You want fare that pleases kids? 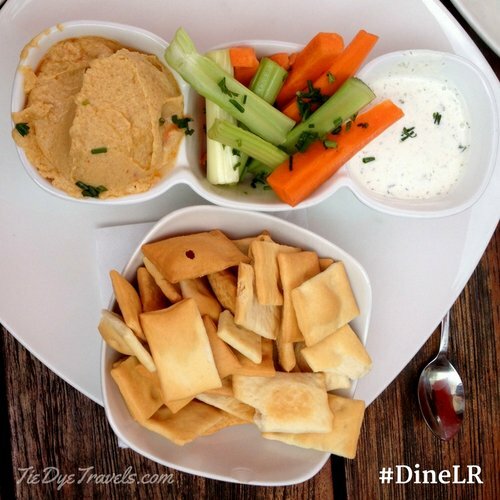 Hunter digs this plate so hard - it's hummus and tzatziki sauce with crackers and veggies for dipping. She doesn't care for celery, but that means I have celery, so I am not complaining. This is the Currant Pecan Chicken Salad - that's a scoop of chicken salad, with pecans and strawberries and all sorts of other amazing things. I don't even need the dressing with this. There's the lemon limeade, which is the perfect non-alcoholic patio drink for this sort of fare. It's fresh squeezed and sweeteed with cane sugar, with a blast of soda water so it's effervescent. There's cold Mexican Fanta and Mexican Coca-Cola in frosty cold glass bottles as God intended. There's alcohol, but I don't really combine my drinking with my meals (I know, I am weird that way). 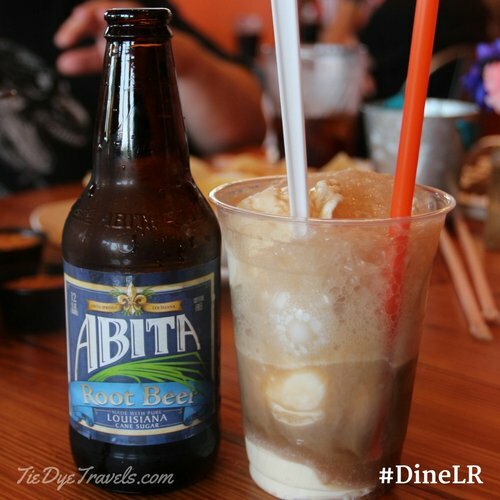 but it bears repeating here - cane sugar natural Abita root beer and Yarnell's homemade vanilla ice cream make the best root beer float evah. It's called the Brown Cow here, like at the old dairy bars, but yes, it's a root beer float. Golly. Well, there's the admission that I've never had the pie. Yeah, somehow I never get around to pie at Big Orange. There's always a different pie. Maybe someone will pester me into going just for pie. But see, once I've had a Dreamy Creamsicle or a Brown Cow, I'm kinda done with sweet. Here, have a Hunter photo. Okay, so this article is all over the place. And that's kinda what I've felt about Big Orange over the years. My favorite item is, incidentally, the Thai Chop Salad. I like the cheese dip but with the custom chips instead of tortillas. I'm a big fan of the kid's meals and I haven't eaten the pie. Let me boil everything down. A couple of generations ago, there were burger franchises that started here in Arkansas. There was the Black Angus. There was Andy's. But the burger franchise that sprouted from Arkansas soil that has left the most impact (and received the most callbacks for a revival) is undoubtedly the Minute Man. 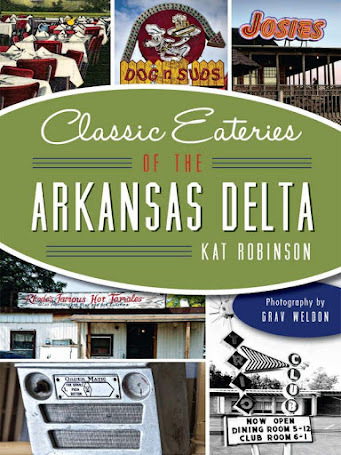 It was indeed the burger of Arkansas in the 20th century, when it comes to chains. 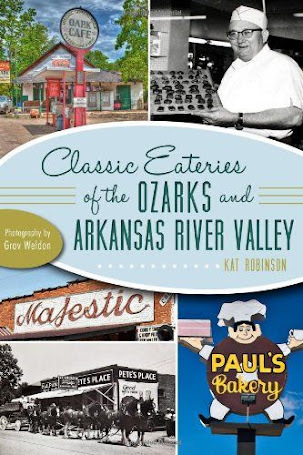 There are burger dynasties that have come to light and flourished in Arkansas in the years since the turn of the century. The Bubbus Family is doing a good job with David's/CJ's/Patrick's Butcher Boy Burgers. The Feltner Brothers have a great product. Others will surface. 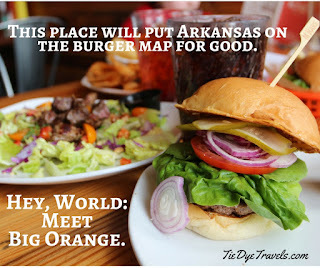 But there is no singular menu, no particularly Arkansas burger joint like Big Orange. Yellow Rocket Concepts has created a 21st century classic, one that has the potential to become a regional or even nationwide franchise. 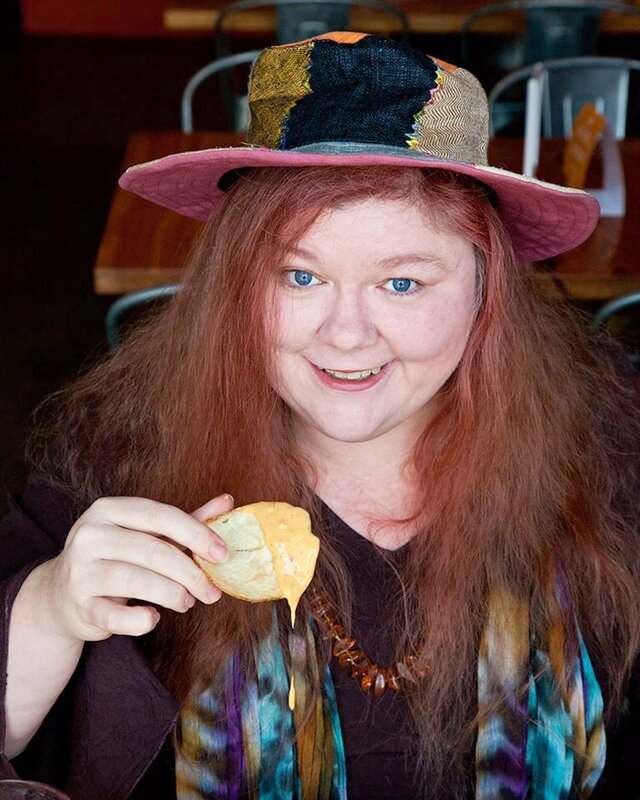 And while there's no urgent push to spread Big Orange like garlic aioli across other states, I could see it becoming an Arkansas burger ambassador that you may one day find states away, little outposts of Arkansas flavor far from home. There will be people who argue with me about this. I welcome the talk. I didn't write this to fan the flames of burger fangirldom. I just shared all this because it was time. Now I need to go see about some pie. Go. Find whwatever location is closest to you and check out the website. And maybe in a few years you'll come back to this post and see if I was right or wrong. ONE MORE THING. 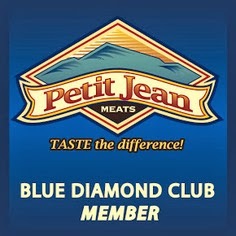 This photo, which you'll find on my Food Network page and elsewhere? 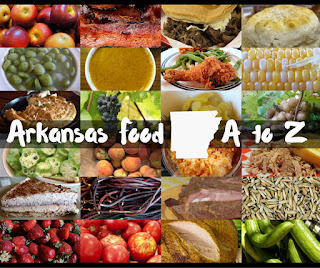 When I needed a single image to tie me to my Arkansas food connections, I didn't even need to ponder where the best place would be to take that shot. 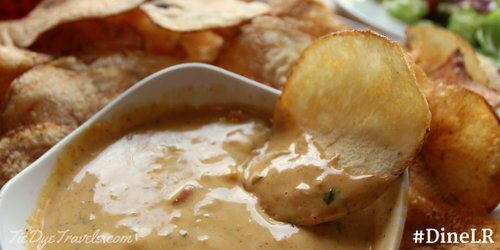 You should recognize that cheese dip on that Kennebec chip. Gluten free buns are available, as are both turkey and veggie burger patties.